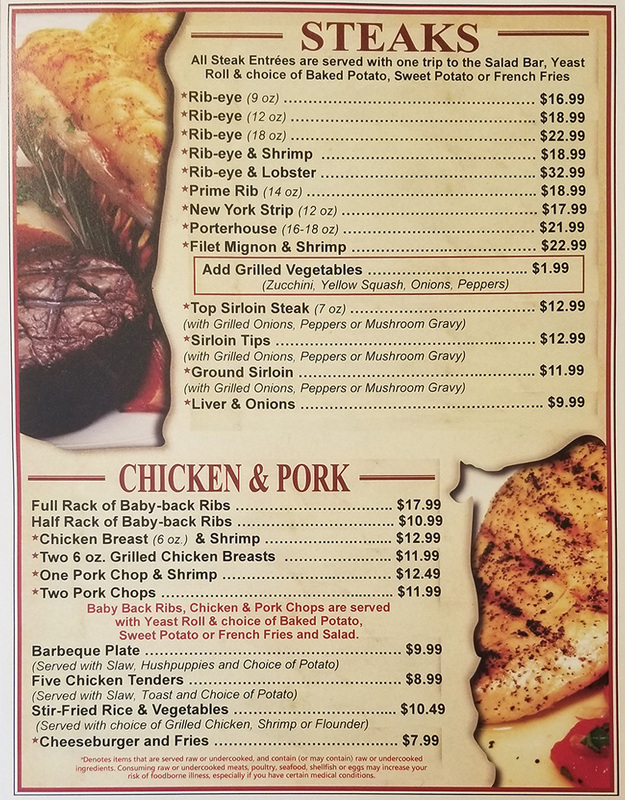 The menu that we have designed at Jerome's Steak and Seafood is for you, our valued customers. 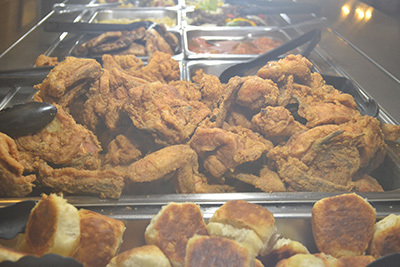 We feature a wide variety of the most popular southern cooking items, and all of our entrees are prepared using only the freshest and finest ingredients, including produce, steaks, seafood, shellfish and chicken. There is something for everyone at Jerome's Steak and Seafood, and we are the perfect place to unwind with friends or family. 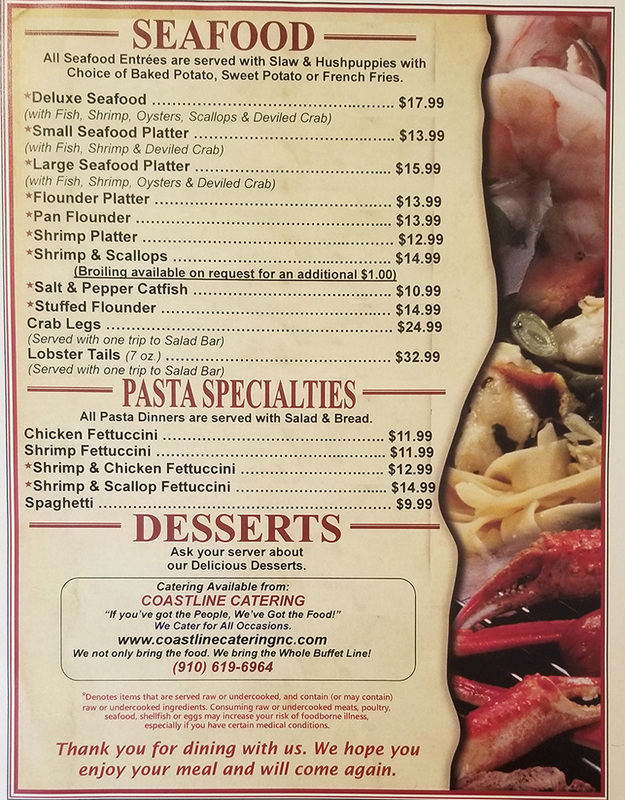 In addition to our standard menu entree items, we also feature specials from time to time that are posted at the entrance of the restaurant. 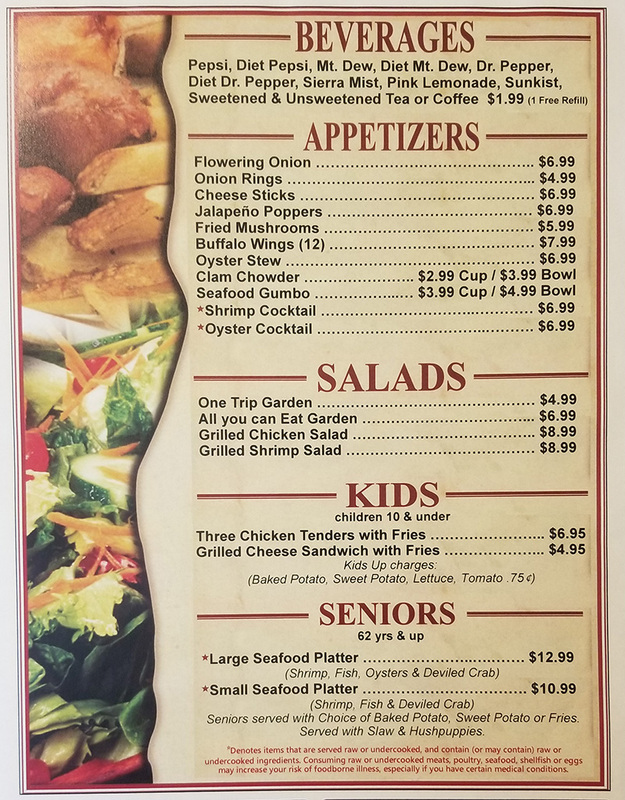 We look forward to serving you when you come to Jerome's with a menu that is sure to satisfy. If you are looking for a real, authentic dining experience, look no farther than Jerome's on Main Street in Shallotte. 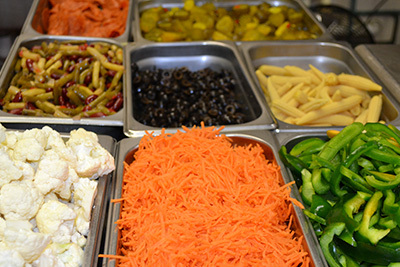 Come by for our lunch buffet or bring the whole family for a great night out. We also provide catering for special events through our Coastline Catering company. 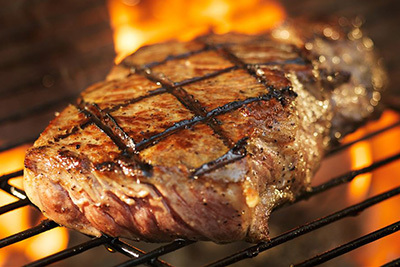 We are everything southern and we will leave the grill on for you! 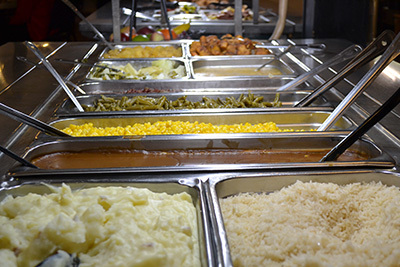 Full country and seafood buffet and salad bar Sunday through Friday from 11 a.m. to 2:30 p.m.
Full menu begins serving at 2:30 p.m.
Open for dinner on Saturday from 4 to 9 p.m.
ANY QUESTIONS ABOUT OUR RESTAURANT OR CATERING? PLEASE CONTACT US! WE HAVE SOMETHING FOR EVERYONE AT JEROMES! COME IN AND STAY A WHILE!